What is a Stomach Pacemaker? 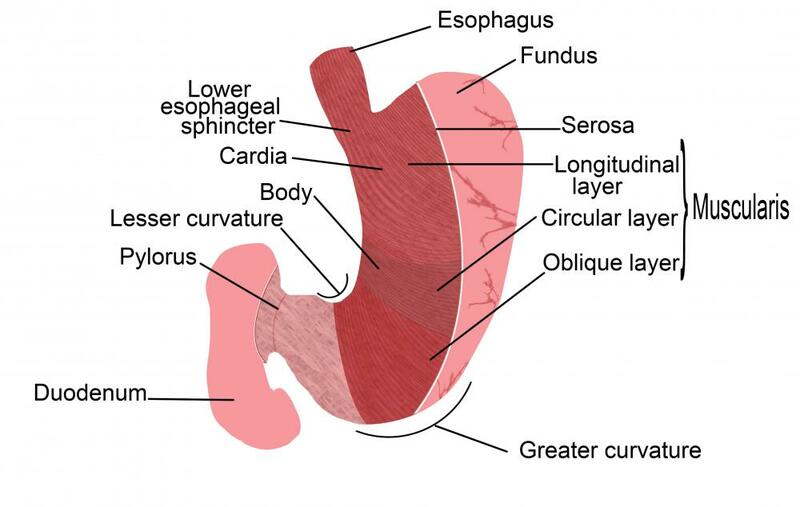 A diagram of the stomach and duodenum. A stomach pacemaker releases electrical shocks, which can reduce the amount of nausea experienced by the patient. A stomach pacemaker is a device that is surgically implanted into the body in order to help control chronic nausea and vomiting in some patients. This device is thought to be the most successful in patients who experience these symptoms as a result of medical conditions such as diabetes or gastroparesis. Diabetes is a medical condition in which the body does not properly regulate the hormone known as insulin, leading to unstable blood sugar levels. Gastroparesis is a condition in which the stomach is not able to empty all of its contents, even though there is no blockage present. The implantation of a stomach pacemaker is only considered for patients who have tried other forms of treatment for nausea and vomiting, including prescription medications. If other treatment methods have not helped to ease the symptoms, a stomach pacemaker may be considered. The stomach pacemaker releases electrical shocks, which have been shown to vastly reduce the amount of nausea experienced by the patient. It is not believed that the electrical shocks from the stomach pacemaker actually affect the stomach directly. Instead, it is believed that the electricity affects the portion of the brain that controls feelings of nausea. Studies have shown that by relieving chronic bouts of nausea, many patients spend less time in the hospital being treated for issues such as dehydration. Medical conditions such as malnutrition and dehydration may improve or disappear as the result of having a stomach pacemaker in many cases. Studies are ongoing, and this method of treatment shows great promise in the area of treating these conditions. Doctors and scientists are hopeful that this method of treatment will be able to someday be used to treat other conditions that cause nausea and vomiting, including chemotherapy and pregnancy. The stomach pacemaker is a relatively new development and is not widely available. Only a few doctors and hospitals are currently using this method of treatment. Scientists hope that this type of treatment will soon become more mainstream. Any patient who thinks this may be a suitable treatment method should discuss the issue with a doctor to find out if it may be an option. It is important to note that there is some degree of controversy surrounding the use of the stomach pacemaker. Some doctors feel that the idea is good but that the device needs to undergo a few modifications before going mainstream. Some patients who have had the procedure have experienced complications such as painful electrical shock sensation or continued nausea and vomiting after undergoing the procedure. How do I Choose the Best Gastroparesis Treatment? What is Involved in a Pacemaker Placement? What is a Pacemaker Generator? What Is a Pacemaker Pocket? How do I Avoid Common Pacemaker Problems?